The glorious style interspersed with elegant stone and pearl work ads to the grace of white color that's outstanding feature of this bangle sliced for royalty. The royal appeal of this white stone studded designer bangle is definitely going to make you the centre of attraction at any event. 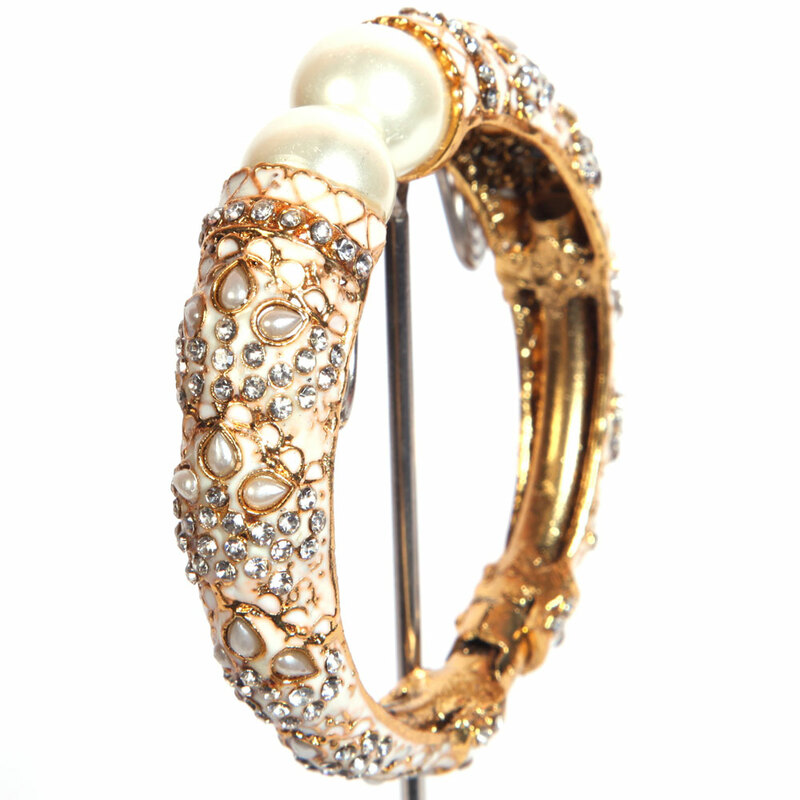 The magnificent Read More..design interspersed with elegant stone and pearl work ads to the grace of white colour that is a prominent feature of this bangle carved for royalty. Show Less..